FK Lowry Piling have successfully completed another Wind Turbine Project for German Client, Enercon. The large diameter rotary bored piling scheme took place at Tanners Hall, near Crook Co.Durham. FK Lowry Piling were sub-contracted to install 10 No. 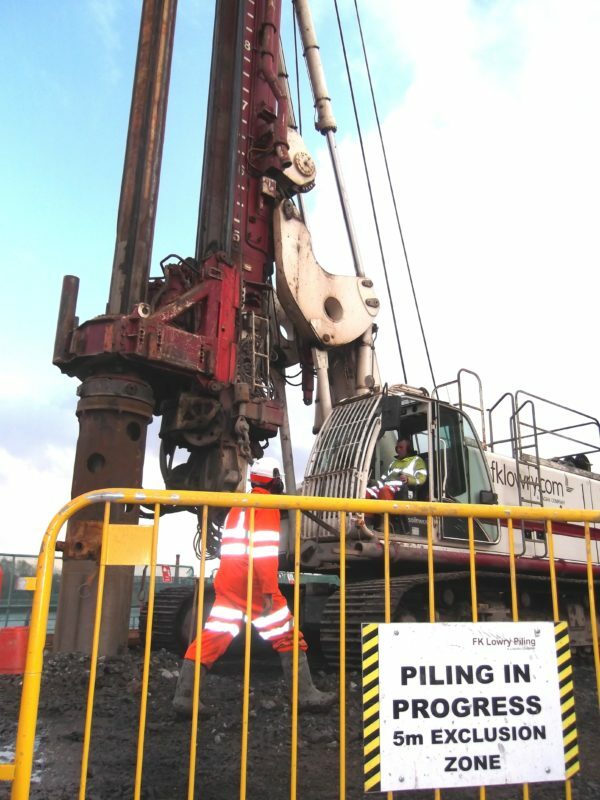 880mm diameter Rotary Bored Piles to depths between 18m – 22m below piling platform level. Each Pile was installed with a full length cage of 10B20’s and B10@250mm c/c. Typical ground conditions consisted of Made Ground/Fill overlying loose granular fill consisting of Sandstone, Siltstone & Mudstone Cobbles & Boulders. A 3.5m rock socket was then formed in the weak highly weathered Mudstone bedrock.